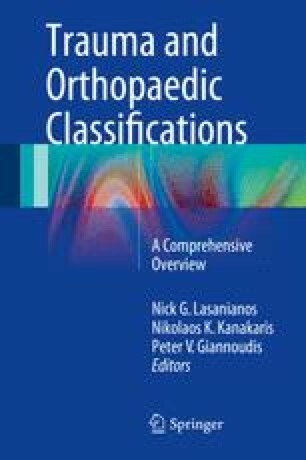 The measurement of initial angulation of radial neck fractures is generally used for this classification. The method of measurement of the angulation of a neck fracture includes the calculation of the angle between a line drawn perpendicular to the articular surface of the radial head with a line parallel to the axis of the proximal radial shaft (Fig. 20.1).